Summary: The only thing standing between you and your gains is your recovery! Read our best post workout supplement reviews for details! Post-Workout Nutrition: How Important Is It? Have you ever felt tired and sore after a grueling workout? Of course, we all do! How about feeling tired even after getting a good night sleep and resting a day or two? Now, that's different. You are either under-recovering, or overtraining. Either way, that's bad news! You see, the only thing that stands between you and your progress in the gym is your recovery periods. If you're not recovering well, you will not progress, and if you don't progress, you will not grow. If you don't pay attention to giving your body the rest and nutrient it needs, then you're just shooting yourself in the foot. So what could be the best way to accelerate your body's recovery process right after workouts? That's the thing we're going to talk about in this article. Also, at the end of the article, we will give you the list of our 5 best post workout supplement reviews of our choice. So grab your pen and paper and take a few notes. When we exercise, we create micro-tears in the muscle fibers. The more intense we go, the more damage we do. This is actually good news, because this is the only way to make the muscles grow. On the opposite side, this is bad news, because if the muscles aren't provided with sufficient nutrients and rest that they need, they will take a long time to heal and they will not grow. This is when post-workout nutrition does its magic. In the fitness world, there is what we call "anabolic window." This is the time when the muscles are really hungry and in dire need of nutrition. This is immediately right after working out. Also in this post-workout window, the muscles are like a sponge, they will absorb the first nutrients that you will provide them so giving them the necessary nutrients is essential for jumpstarting and accelerating the recovery process. So what are these necessary nutrients? Whey protein, the fastest acting protein in the planet, is a very important component of a post-workout nutrition. Since your muscles are very hungry at this point, feeding them with a high-quality protein that they can fastly absorb should be your number 1 priority. You want to repair that muscles as soon as possible, right? Sugars. Yes, sugars. Isn't sugars bad? Hmmm yes. But in this anabolic window, simple sugars are very important. Like whey, your muscles also need a fast-acting carbohydrates to refill the glycogen that was lost during your workout. Your best choice of simple sugars are maltodextrin or dextrose. BCAAs -- leucine, isoleucine, and valine -- are the most critical amino acids for recovery and muscle growth. Although whey provides enough BCAAs postworkout, a standalone BCAA supplement will provide a much faster nutrients to your muscles. Read more: When To Take BCAA? Creatine is proven to be the most effective and safest supplements in boosting strength, muscle growth, and recovery. Post workout is the best time to take it as it is best absorbed with carbs and protein. ​Grass-fed beef, pork and chicken as well as their products are some of the best sources of glutamine. When we do our exercises, muscle breakdown happens. Supplementing with glutamine especially right after workouts can minimize this scenario and it may also reverse the process. Glutamine promotes faster recovery and it is also beneficial to our immune system. ​A grilled top loin beef fillet contains almost 3 grams of alanine. By raising carnosine levels in the body, beta-alanine has been proven over and over again to increase workout performance, recovery, and muscle growth. It goes hand in hand with creatine and they are both beneficial when used pre or post-workout. Now that we know what should we be taking right after workout, let's now take a look at our 5 best post-workout supplements that will take your recovery to the next level! Important: #1 and #2 are the essentials, and they can be taken with either of the other 3 items. **Below, you'll see more detailed reviews, but you can also click the links above to see current prices and read customer's reviews on Amazon.com. Like we've discussed, whey protein is a MUST right after workouts. 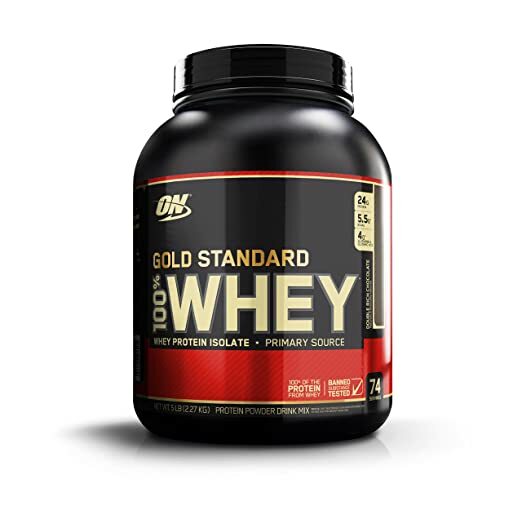 But this supplement not only uses ordinary whey, but a faster acting type of whey -- Whey Protein Isolates.Whey Protein Isolates (WPI) are the purest form of whey protein that currently exists. WPIs are costly to use, but rate among the best proteins that money can buy. That's why they're the first ingredient you read on the Gold Standard 100% Whey™ label. By using WPI as the primary ingredient along with premium ultra-filtered whey protein concentrate (WPC), we're able to pack 24 grams of protein into every serving to support your muscle building needs after training. ON's attention to detail also extends to mixability. There's no doubt that this is the standard by which all other whey proteins are measured. World's most trusted nutrition brand. Low in fat and carbohydrates. ​24g of protein per serving. Has thousands of positive feedbacks. A fast acting type of carbohydrates to be paired with a fast-acting protein. Dextrose is easily absorbed and utilized by the body; it has a high glycemic index (GI) rating which indicates that it enters the bloodstream very quickly and is well-tolerated by most individuals with normal blood sugar responses. Dextrose stimulates the body to drive, not only glucose, but amino acids and other nutrients into cells. 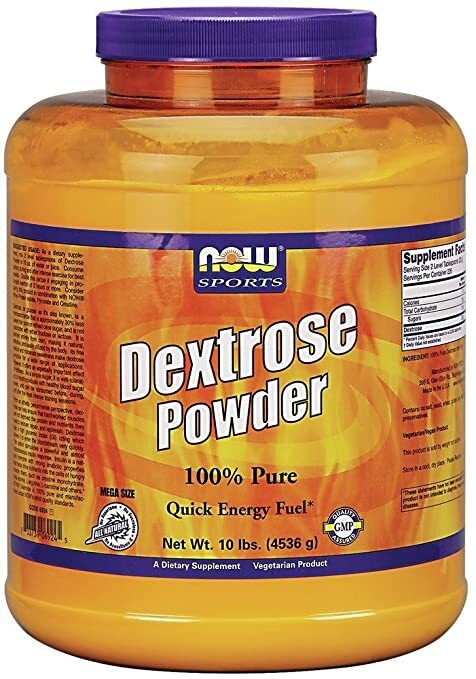 In addition, Dextrose also helps to make important nutrients, such as creatine and branched-chain aminos, available for use by muscle tissue. From an athletic performance perspective therefore, it can help fuel intense activity, maintain exercise endurance, and support recovery from exercise. 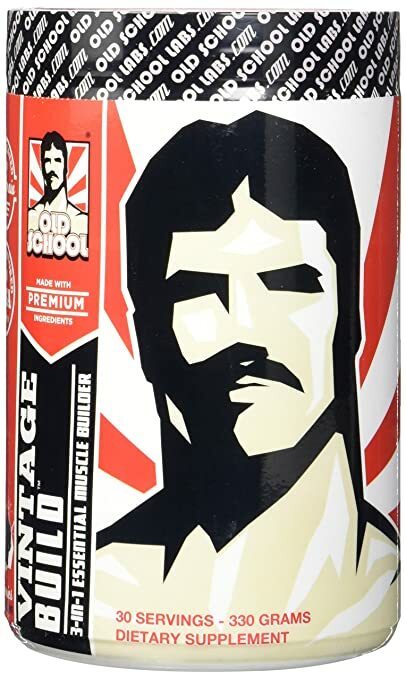 Vintage Build delivers an uncompromisingly dosed, safe and highly effective mixture of 3 essential muscle building ingredients: Branched Chain Amino Acids (BCAAs), Creatine Monohydrate, and L-Glutamine. This no-nonsense combination has been proven to work over time and is what gives Vintage Build its designation as a Triple Crown muscle builder. 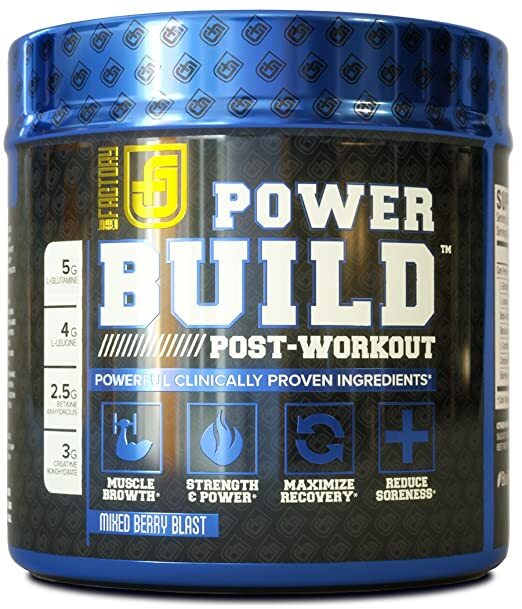 POWERBUILD is a true post-workout muscle building supplement. It contains clinically effective ingredients that have been proven effective in advanced sports nutrition research at building muscle. It helps buffer lactic acid, stimulate protein synthesis, and support the immune system to rapidly reduce your recovery time. It helps battle DOMS so that you can come back stronger, faster and ruthlessly attack your next training session. It also has been formulated using a science-backed combination of premium key ingredients in full clinically effective doses. Rapidly increase strength and power. 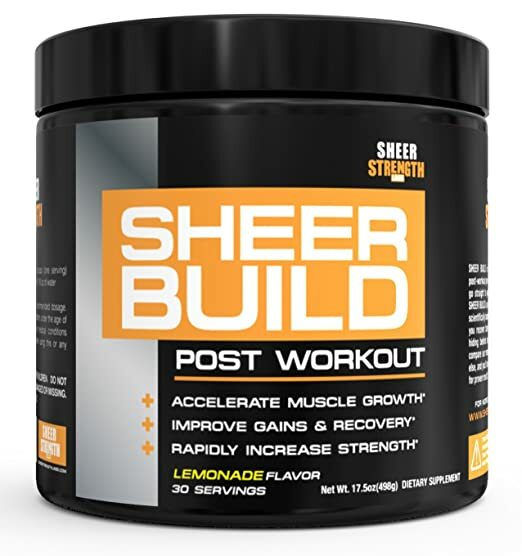 Sheer Build Post workout is designed to help you recover faster and build muscle while maximizing your workouts. It will assist your muscle growth -- it contains proven muscle building ingredients that will promote faster rebuilding of muscle tissues. It will accelerate recovery time - it will prevent overtraining and will help reduce muscle soreness. These are the 5 best post-workout supplements that you should take your recovery and workouts to the next level! You can't go wrong with any of these. Just make sure to pick one from #3-#5 and stack them with whey protein and dextrose powder.